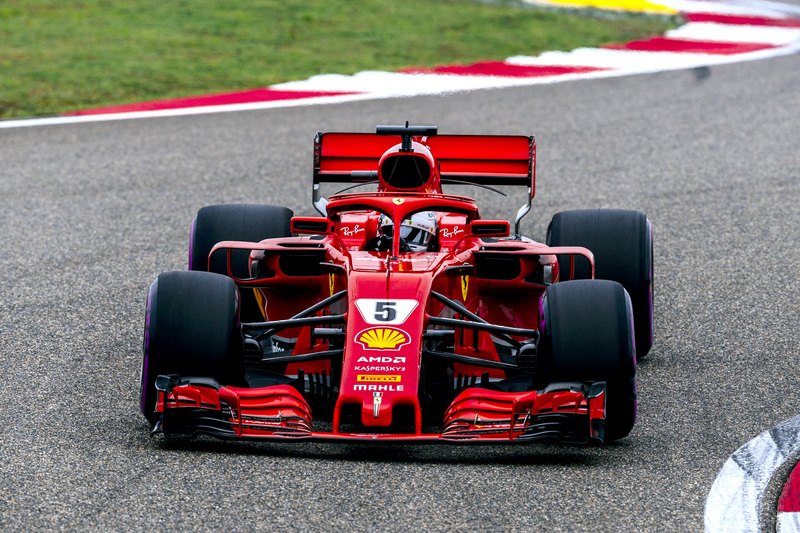 Sebastian Vettel has sensationally snatched pole from Ferrari teammate Kimi Raikkonen in a thrilling end to qualifying for the Chinese Grand Prix. With Mercedes struggling to mount a challenge — Bottas and Hamilton were evenly matched but almost half a second down the order — the battle for P1 came down to the red-suited drivers. Valtteri Bottas was the better Mercedes driver in qualifying, but both he and teammate Lewis Hamilton struggled on the ultrasoft tyre in the chilly Shanghai conditions. Only Ferrari and Mercedes felt sufficiently confident to give it a go, and though Vettel and Raikkonen both began laps on ultrasoft tyres as security in the final moments of the session, neither set a time, meaning them, Hamilton and Bottas will be able to execute a one-stop strategy on Sunday. It wasn’t a particularly quick effort, however — the Australian struggled to extract pace from the ultrasoft tyre, as was the case during Friday practice — and he set a time good enough for only P13.